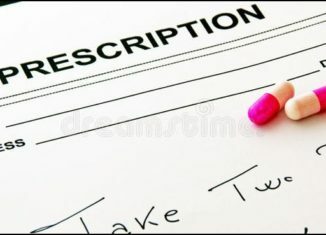 Monthly prescriptions are a necessity for some people. But costs are on the rise, with the cost of a year’s supply nearly doubling over the last seven years. So what do you do when you are prescribed medicine for a condition you need to treat, but the price doesn’t exactly fit within your budget. Foregoing necessary medications is not an option. Doing so could leave you with an untreated health condition that will cost you more than what you would have paid for the prescription. Thankfully, at Affordable Healthcare 123 Tees, we know of some options to help you lower the costs without compromising your health. You don’t need to be concerned you are getting an inferior product when choosing a generic medicine. Generic drugs contain the same active ingredients as their brand name counterparts and are proven to be just as effective. On top of that, they cost up to 85% less! If you aren’t choosing generic, make the switch today. Did you know that your doctor may be able to give you a sample of a drug they are going to prescribe you? While samples will not cover ongoing prescription refills, they will let you test out your tolerance to a new prescription instead of paying your copay for a full prescription. Samples are often available in 10-14 day supplies, so be sure to ask your doctor the next time you get a new prescription. The price to fill a prescription will vary depending on where you go. Your local grocery store may be less expensive than your doctor’s office, or vice versa. Take your prescription to a few locations and see which will offer the best price. Don’t forget warehouse clubs like Costco. They are often cheaper and don’t require a membership to use their pharmacy. It may be surprising to find out that many times the cash price for a prescription is less than the price you will pay if you bill your insurance. 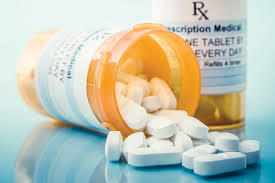 Additionally, many pharmacies offer prescription savings programs that will allow you to save even more. If the cost of your prescription seems high after your insurance has been applied, ask your pharmacist if it would be cheaper to pay cash. You shouldn’t have to worry about being able to pay for your prescriptions. There are many ways to reduce your costs and make your treatments more affordable. Do your research and shop around. By doing a little extra footwork, you can see substantial savings. Affordable Healthcare 123 Tees started as a way for graphic designer Sarah Williams to stand out at a political rally in Sacramento, California. She decided to make a custom tee-shirt with a design and slogan that spoke to one of her beliefs—healthcare should be as affordable as clothing. As the day went on and the compliments and questions about where she got the shirt poured in, Sarah got the feeling her belief could be something more.